As a follow-up to the post of January 8, 2011. The afghan was so well received; many tears and so much gratitude. Inquiries were made to the stories behind the projects that were made with the original yarn. Here's what my crocheting buddy wrote to the inquirer about the leftover yarn that she donated to the making of the "Breast Cancer Afghan." "I heard that you were interested in the projects we had done with the yarn. I made afghans for my boys this year for Christmas, matching them to their house color schemes. 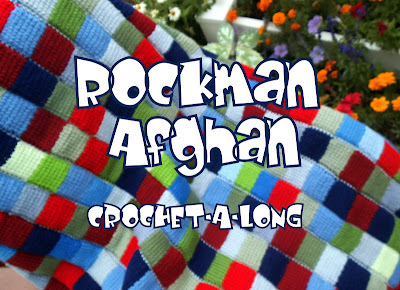 Some of the green yarn that I contributed came from those afghans. The bright neon green was for son #3, at his request to have various shades of brown interspersed with small stripes of bright colors. The pink that I contributed, was from strips made for the "Blanket of Many Colors", that I have made for each of my five grandchildren. The soft white that was the biggest player in the "Breast Cancer Afghan" was used to connect the "Blanket of Many Colors" for two of the blankets. 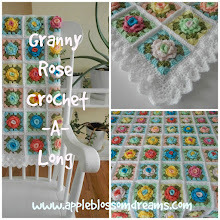 The pink in the strips was used for some of the pink roses in the "Breast Cancer Afghan." Each "Blanket of Many Colors" is increased to the height of the child with each growth spurt. Below are a couple of photos of three of the blankets I made. About ten years ago I made afghans for all my family, my husband and three sons, and told them that when I finished the afghans I could die...unless there was a baby that I could make one for...nothing like pressure to reproduce! Anyway, seven years ago it occurred to me that I had never made my Mom an afghan. She was living with me at the time and so I sat next to her and crocheted purple and white squares, telling her it was for my daughter-in-law. 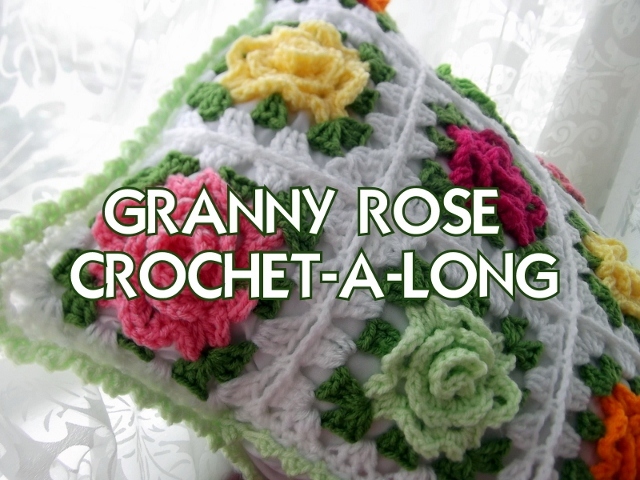 When it was done, I gave it to my mother to put on her bed and curl up in when she was resting. Unfortunately, by this time, she really didn't have the strength to pull it up on her, so I would tuck it around her when she rested. I have that afghan stored and those memories stored away. The things I do are usually for people very dear to my heart."